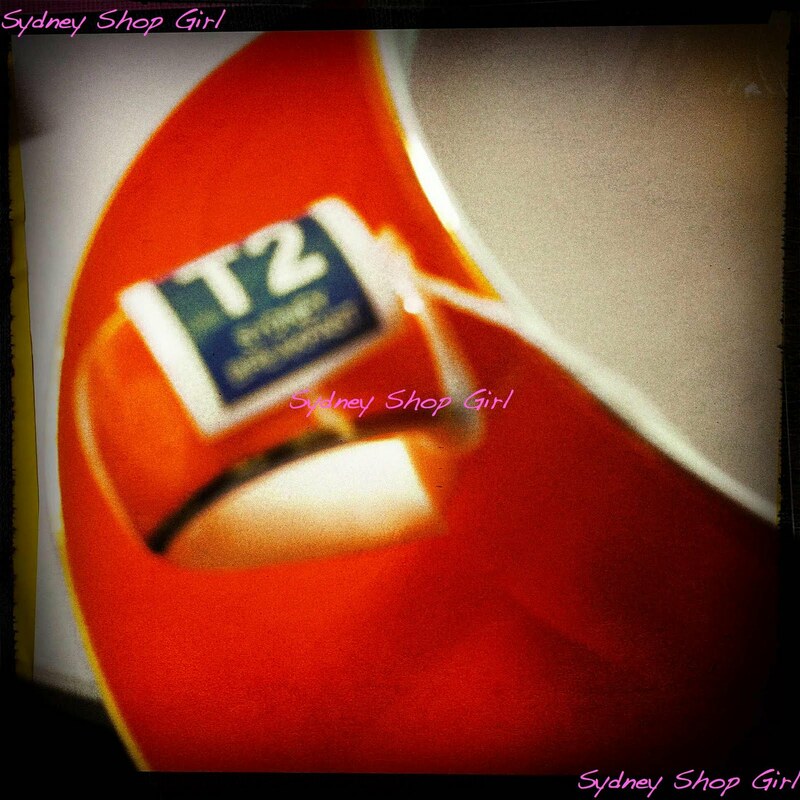 Sydney Shop Girl: August Issues Are Painfully Dull. Caviar Eye Liner. August Issues Are Painfully Dull. Caviar Eye Liner. It's Friday night and I'm living it up with a dinner of cold Coles rotisserie chicken and a can of Coke Zero for dinner. I'd forgotten how well the two go together. Time to say goodbye to the office for a couple of days. And I'd just gotten it perfect too. Look at that tidy line of glass jars from Ikea filled with T2. 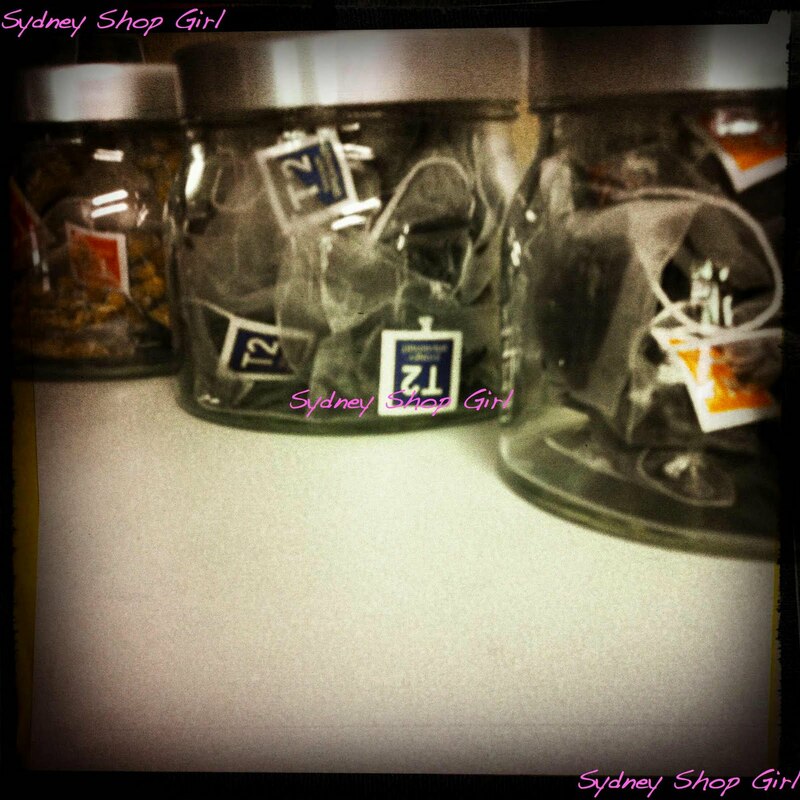 Two caffeinated blends and one herbal. I think that's the perfect balance for work, don't you? I know I was all SJP this week and Friday was meant to be the SJP channel to out channel all SJP channels but I just couldn't. It was too cold and windy to do my favourite Carrie Bradshaw looks - the ones where Carrie's teetering in heels and a floaty dress and a fur in a New York City winter. Also, Mr SSG wasn't quite doing his bit as Mr Big. He rushed out the door this morning and forgot to call me 'Kid' in a gravelly voice. Blazer - heavily discounted Ralph Lauren, sweater - Kookai (tragedy - its on its last few wears, starting to fall apart at the seams). Never mind. Onwards and upwards. I went for Urban Equestrian instead. Women of the country may choose to avert their eyes in horror about now. Apologies in advance, A Farmer's Wife. Boots - Bally (from the Luisa in Sydney sale 2 years ago), jeans - Seven For All Mankind. 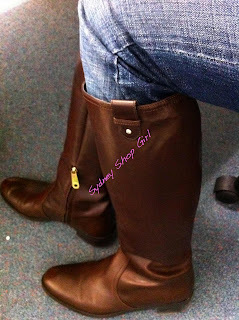 I'm not going to lie, those riding boots are probably never going to see a horse in their life. But for some strange reason I'm on the verge of looking for cream jodhpurs on the Ralph Lauren site. Same cup and saucer, different tea. Sydney Breakfast by T2. 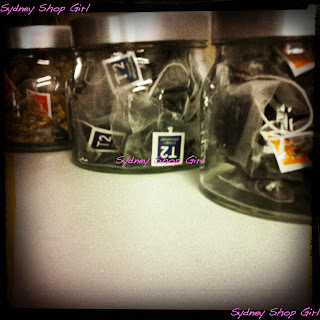 I'd describe the tea as a Sydney twist on Earl Grey. Bold and dynamic but still traditional at times. But I resisted the call of retail and had a cup of tea instead. You must be sick of seeing this orange cup and saucer of mine. However, I'm not and the china seems to be loving the exposure too. I was going to spend the evening reading this month's InStyle and watching this week's Offspring but I've abandoned the magazine. It's painfully dull. Miranda Kerr is on the cover and then ... I don't actually know. Stuff. And more stuff. It's all a bit of a haze. August issues always are. Being the birthday month of Leos, is this some sort of deference to all those fabulous lions and lionesses out there? That we're all so busy having such an exciting birthday month none of us would have a spare moment to read a magazine. InStyle usually have great make up editorials. So because I can't quite remember what this month's was about, I'm going to do my own. My beauty find of the month is Laura Mercier's Caviar Eye Liner. I've linked to the product information on the LM website for those who are interested. It's a great product for day because it's pretty forgiving for a black eyeliner. I use it dry with that flat Sigma E15 brush I was talking about a few weeks ago. It's not as tricky to use as liquid or cake liner and not as harsh. It also lasts all day and is easy to blend into the lash line. If this doesn't say perfect eye makeup for work then I don't know what does. I hope you have a lovely weekend planned. I'm planning to cook biryani tomorrow night and on Sunday I'm doing Coffee and Chat at Vanto. I know, the Italian waiters and their accents. Stay warm. Is anyone else as fluttery as I am that Dr Chris (Dom Hany) is returning to Offspring? It almost makes up for Mr SSG flat out refusing to role play Mr Big in my Carrie Bradshaw / SJP fantasy this week. Think my last comment got eaten by blogger. Damn you blogger. Nothing wrong with urban equestrienne. Stylish and practical if your car breaks down or you come across a random mob of sheep in the Sydney CBD. If blogger didn't eat my first comment, I apologise to both yourself and blogger. AFW: blogger is being such a pain at the moment. Nothing would amaze me regarding Sydney traffic. It's all happened. Even livestock. OK, SSG, you may too liberal for me! Call it one of my quirks but I never read a magazine before the month is here so I'm still on July! But I am a Leo and I think they should make that issue the biggest in our honor. Instead, it is indeed puny and dull as everyone is holding their breath for Sept. I'm getting by on all the gorgeous photos of Kate on their visit to the U.S. LOVE her clothes! Catherine: Snap! I'm a Leo too! Magazines are all topsy turvy in Australia, the date on the cover is a month later than the date the issue actually comes out. 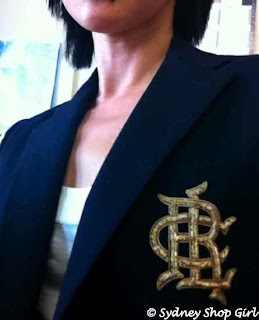 LOOOOOVE the Ralph Lauren blazer and Bally boots!Can't beat some preppy-action, in my view! 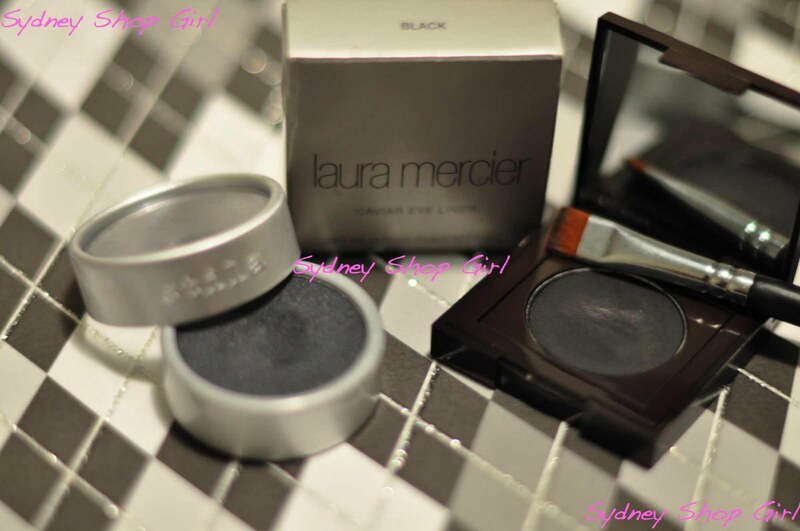 The Laura Mercier looks fabulous on the grey and black tiles, just like an advertisement! Such a good idea to get jars from Ikea for tea at work, I'm going to do the same thing!